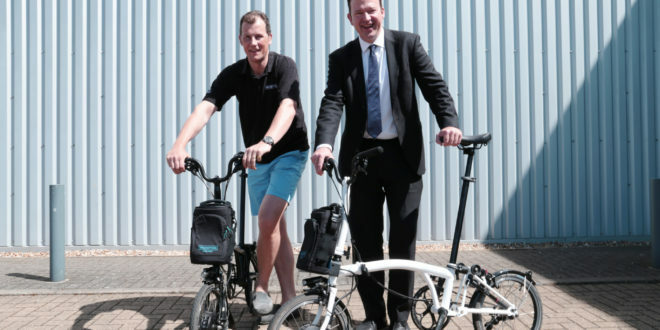 Brompton CEO Will Butler-Adams met transport minister Jesse Norman at a rail station yesterday and cycled with him to the Brompton factory in West London. 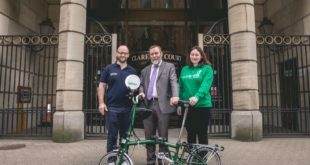 The minister visited the Greenford based manufacturer to discuss the Department for Transport’s call for evidence on cycling, which closes on 1st June. Norman was taken for a guided tour of the Brompton factory which produces around 45,000 bikes a year. 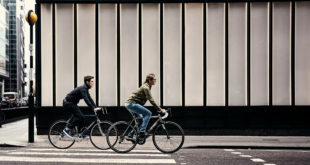 The DfT’s call for evidence on cycling and walking is an opportunity for people to share their views and opinions on everything from improved infrastructure to road user education. 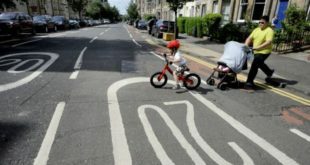 Norman also tested out the new Brompton Electric, Brompton’s long-awaited venture into the e-bike market. 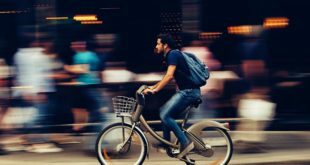 The company’s first electric bikes will be delivered to customers in July.